Sia Nemat-Nasser is a Distinguished Professor of Mechanics and Materials at the University of California, San Diego, and Director of UCSD’s Center of Excellence for Advanced Materials. He received his M.S. and Ph.D. from UC Berkeley in 1961 and 1964 respectively. 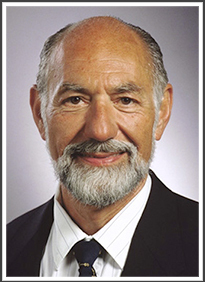 He is a member of the NAE and has received numerous awards including the ASME Medal and Timoshenko Medal, the SES Prager Medal, and ASCE von Karman Medal. His research integrates experiments, theory, and computations. His current interests include phononics, photonics, and general waves in periodic composites.